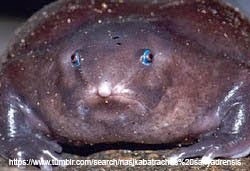 Nasikabatrachus sahyadrensis is a species of frogs with purple frog as their surprisingly boring common name. They could have done so much more with this one. 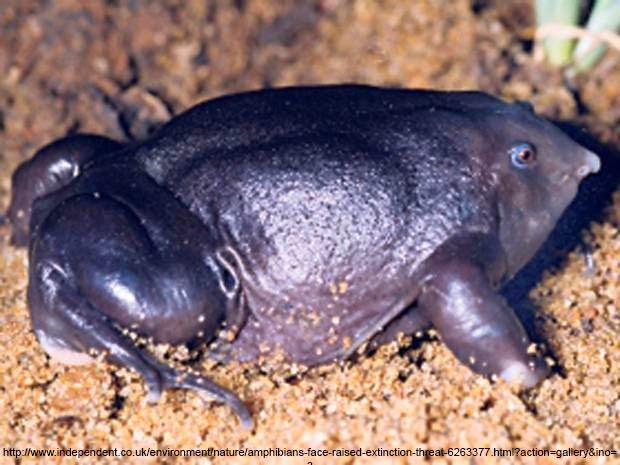 Purple frogs are burrowing frogs, and unlike most burrowing frogs they are almost entirely subterranean. They spend almost their whole life underground, even feeding underground which is unusual behavior for a frog. They live off the termites which also live underground. They only come out for a couple of weeks every year during the monsoon for mating. They are commonly found in human burial grounds. My guess is that this has something to do with the fact that burial grounds have loose soil for the frogs to burrow into and possible an abundance of termites feeding off wooden coffins. 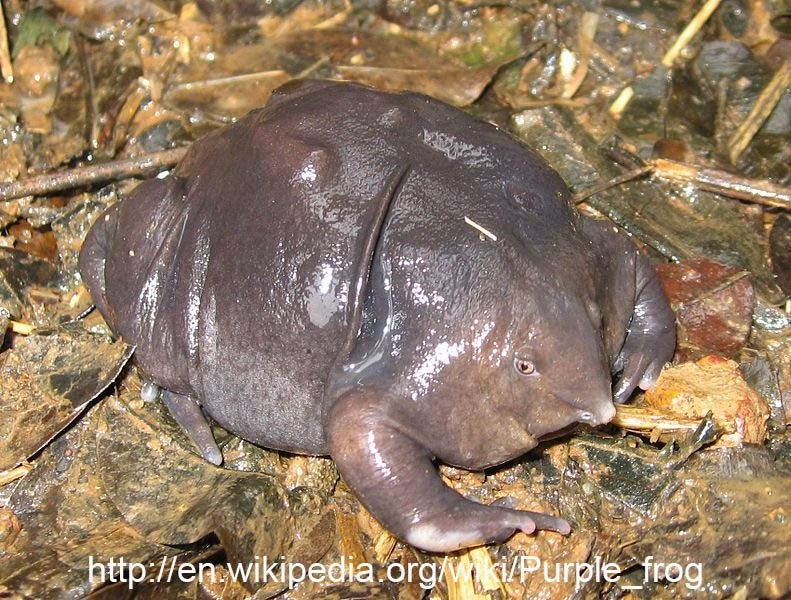 As the Purple frog will commonly dig up to 4 meters below the surface they are probably living underneath the graves. Therefore they come from beyond the grave. Purple frogs are found in South West India.